If you’re missing teeth, you’ve probably imagined what your smile would look like if it were fully restored. At Smile Creation, our team is qualified to provide dental implants that will give you back your self-confidence. Whether you have a single missing tooth, want to support dentures on implants or need all teeth replaced, this is the most advanced option available today. At Smile Creation we use Osstem Implant. Osstem Implants are is a total dental implant system used in over 50 countries across the world. Osstem Implant is proud to offer patients a comprehensive range of scientific-based and clinically-tested solutions. 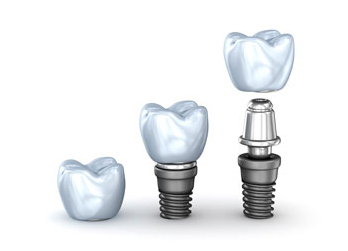 Is a Dental Implant Right for Me? To get started, we’ll evaluate your oral health and determine if you’re a suitable candidate. Contact our office to schedule your appointment!